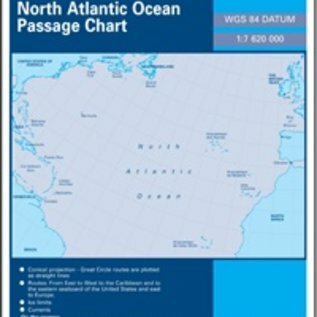 This waterproof Imray-Iolaire North Atlantic Ocean chart covers the passages across the entire North Atlantic Ocean from the Caribbean Islands to the islands off the coast of Africa. The chart is folded for efficient storage. A protective plastic sleeve is provided. At a scale of 1:7,620,000 this chart covers the North Atlantic from Brazil to Newfoundland and Gibraltar to the Caribbean. It has been constructed on a conical projection that means that Great Circle tracks can be plotted as straight lines rather than curves. The chart shows the main trend of contours, limits of ice, magnetic variations and keys routes as identified by DM Street. On the reverse are notes on the routes and small wind rose charts, with accompanying charts showing excessive wave heights and storm frequencies for the months that yachts cross the Atlantic: April to July and September to December. 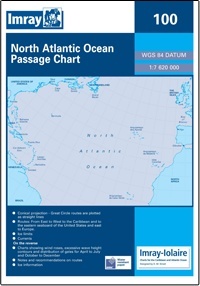 Chart 100 is an important companion for Atlantic yachtsmen on passage and an excellent source of planning information.